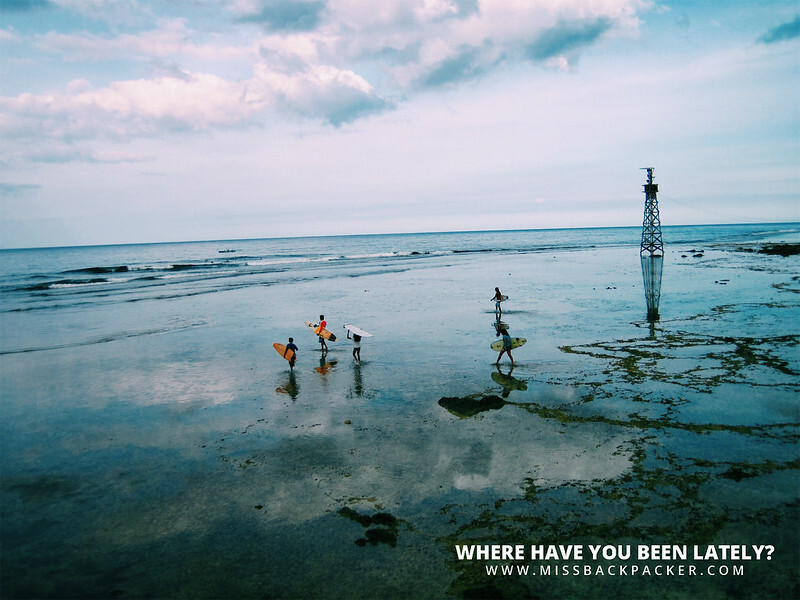 Surfing in Siargao (or not) | Where Have You Been Lately? 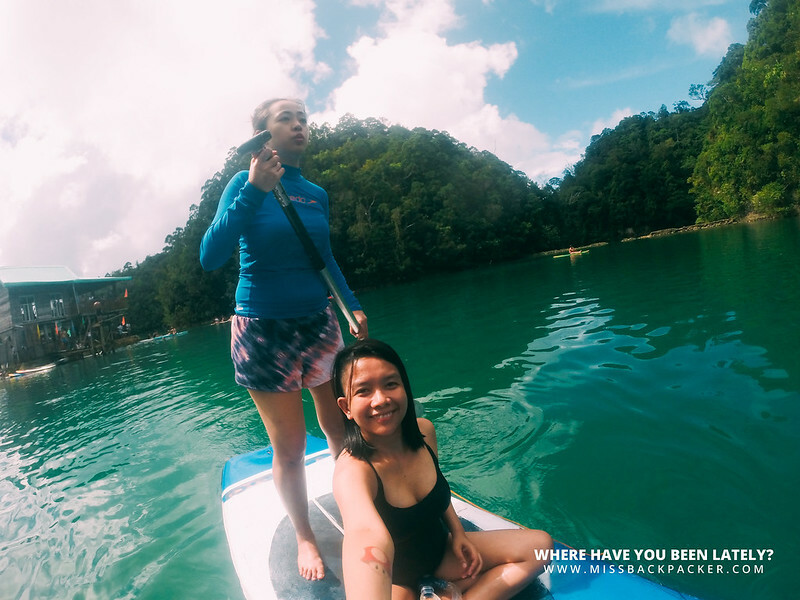 Surfing in Siargao is probably an item in every Filipinos’ bucket list, and one of the first things that one does when in the surfing capital of the country. 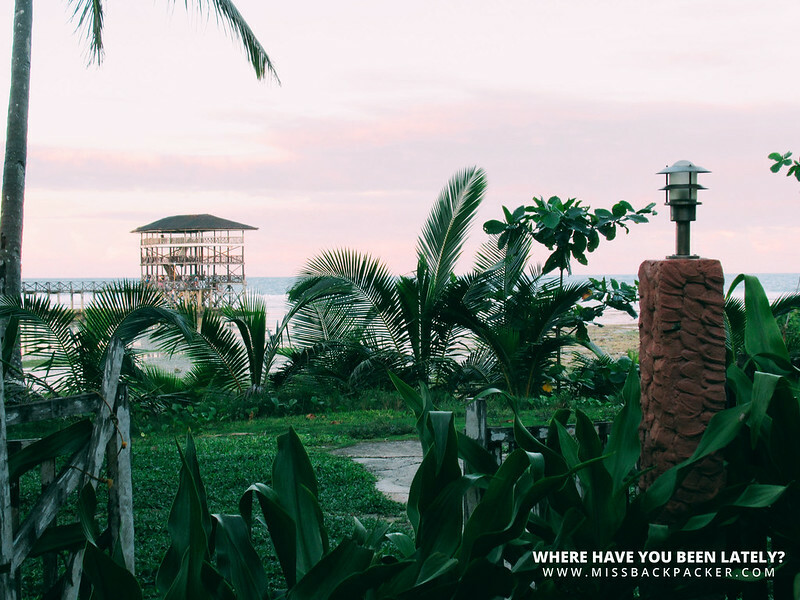 But when you already had that surf pinnacle, or your adventure-seeking self longs for something else, or you simply want to relax, what other things can you do aside from surfing? 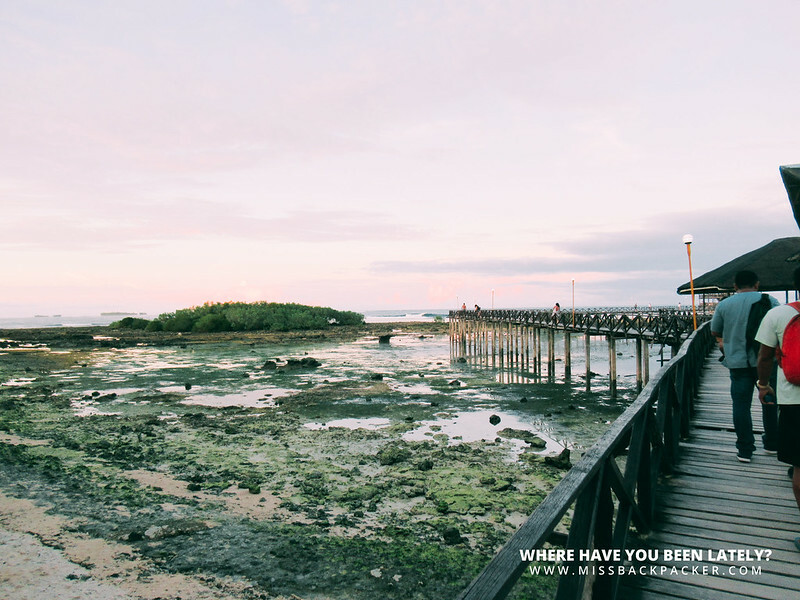 I went back to Siargao via Cebu Pacific, which is now offering direct flights between Manila and Siargao, for answers. 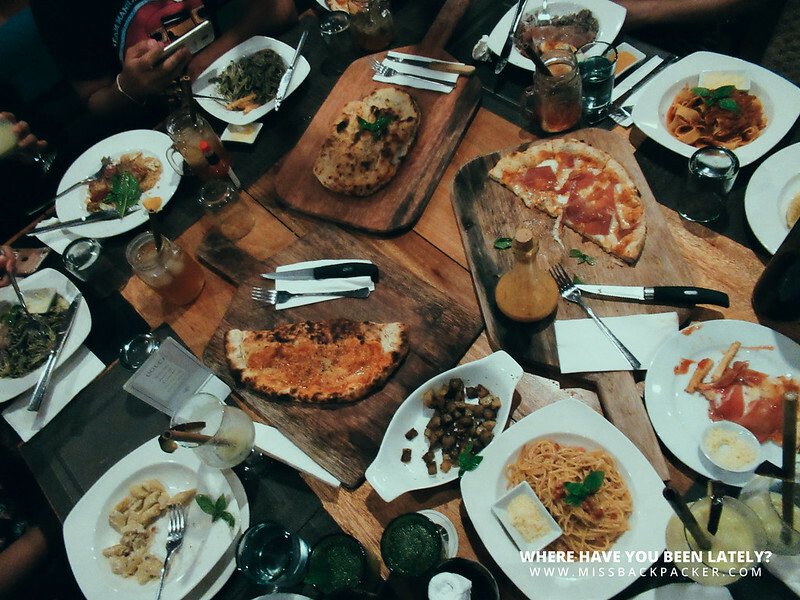 Apologies, but this post does not contain any information on costing and budgeting. Whether you’re hoping to chill out and grab a cold bottle of beer or just admire nature’s awesomeness, Cloud 9 never fails. Locals and tourists flock to its boardwalk deck every afternoon, so don’t miss that out. Okay, not just kayak. 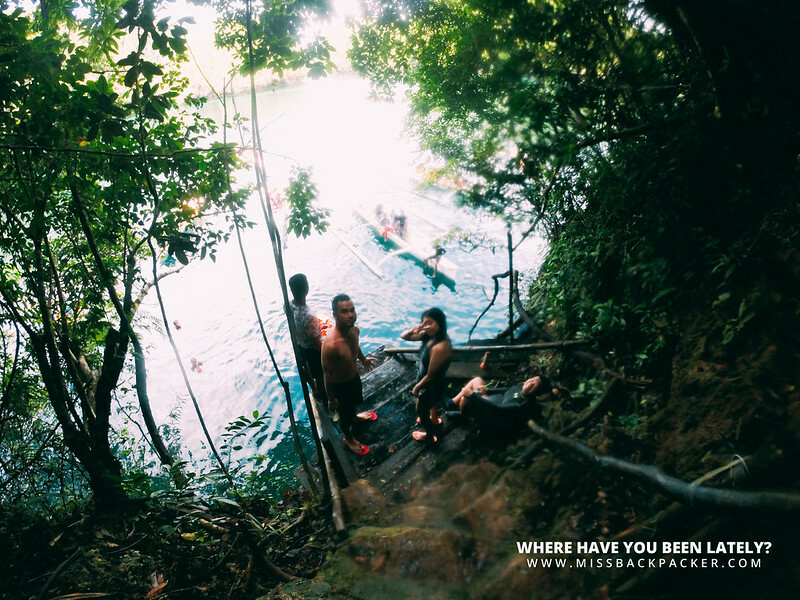 There are several other things you can do in Sugba Lagoon, which is located at Del Carmen, Surigao del Norte. You can rent a paddle board, relax on that one giant inflatable, or jump into the lagoon’s clear water through the platform (which I am told was just recently built). 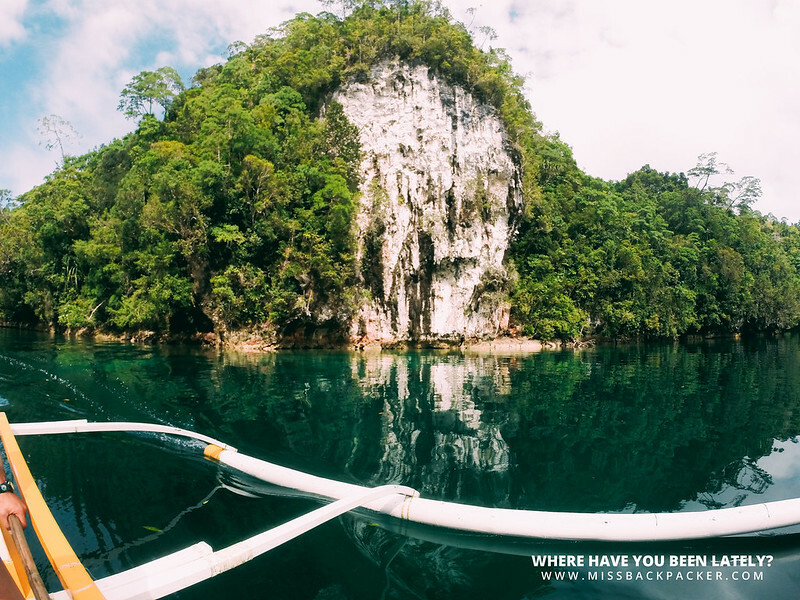 To get there, you can rent a motorbike, or a tricycle, or a van if you have a big group, then you need to ride a boat that will bring you to the lagoon. 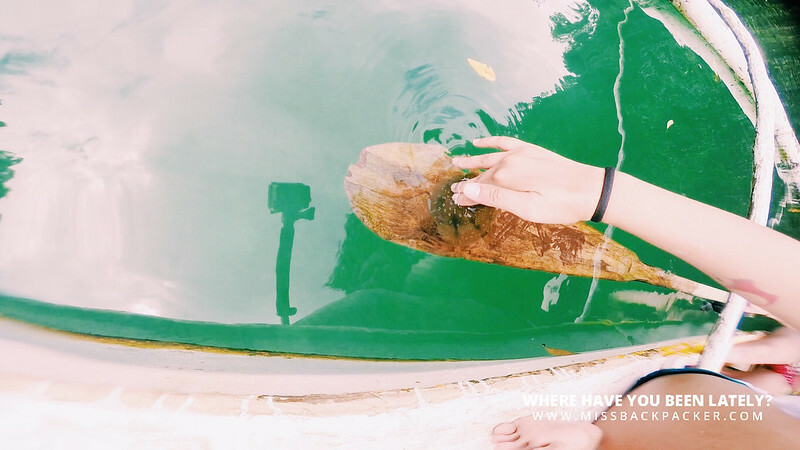 Because we failed to follow our itinerary, we didn’t get to experience the “visible” pools of Magpupungko in the town of Pilar. 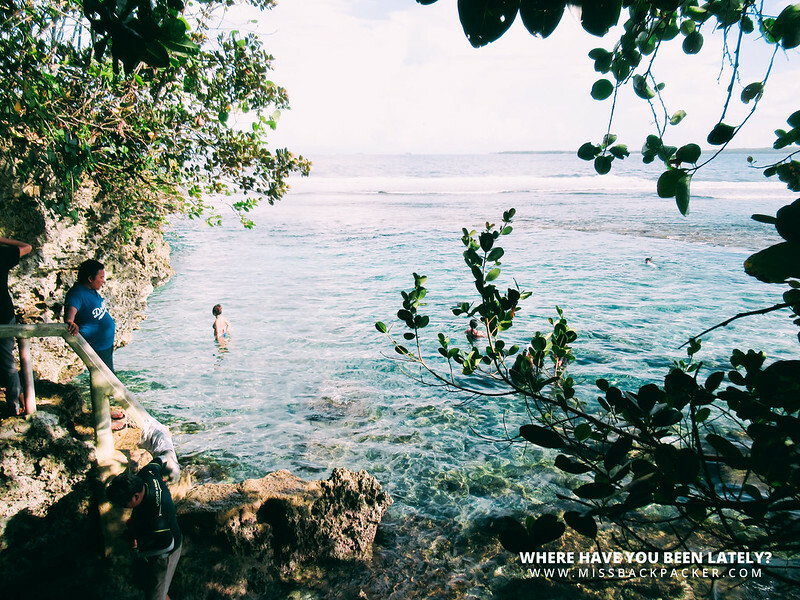 Best time to visit this spot is early morning or late afternoon when the tide is low. 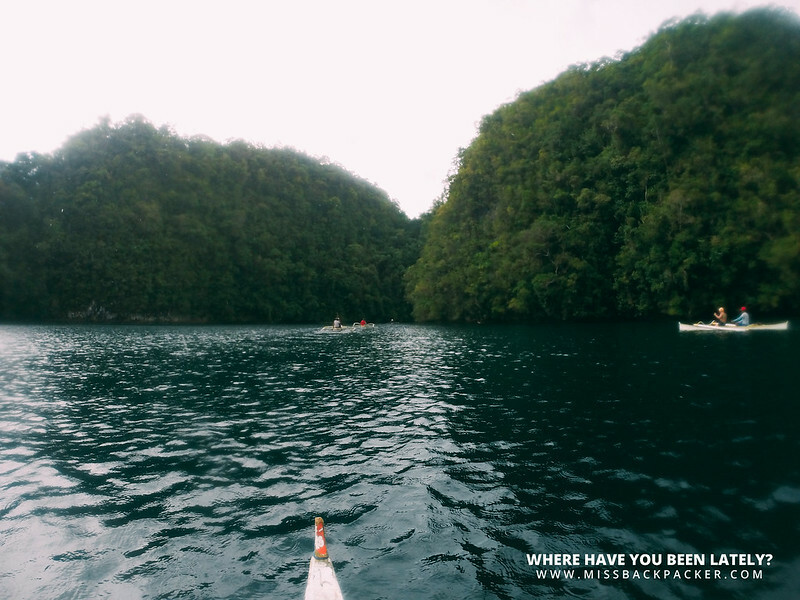 To get there, same as Sugba Lagoon less the boat, you can rent a motorbike, or a tricycle, or a van if you have a big group. 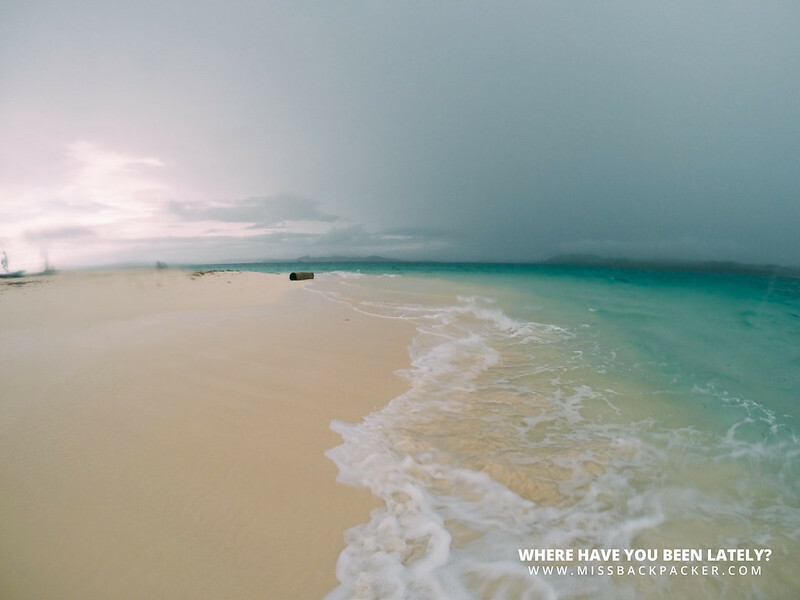 TIP: Wearing aqua shoes is ideal for Magpupungko as it isn’t like the typical sandy beaches most of us are familiar with. Mabato siya, mga mamsh! By diving, I meant 8-second underwater diving. LOL. 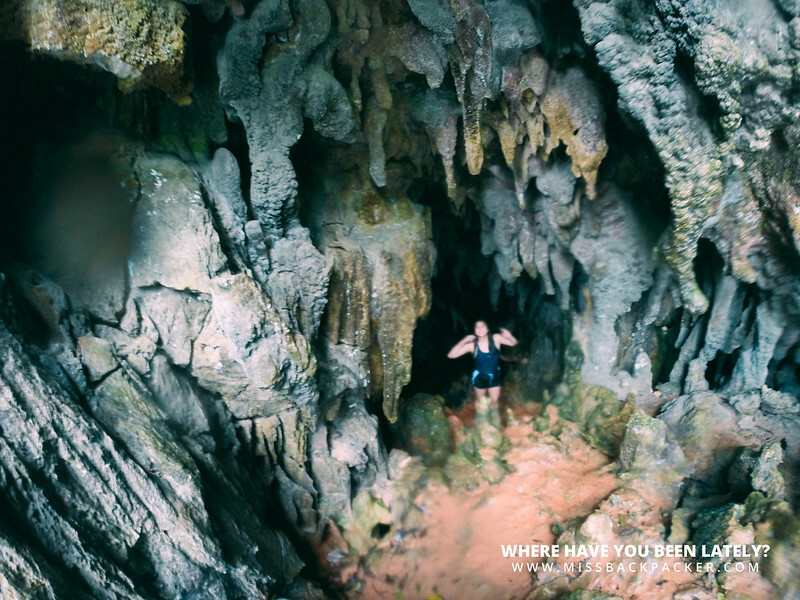 But seriously, you should all go and visit the Hagukan (from the word hagok which means snore because the silhouette of the cave resembles a sleeping person) Cave. Visitors can only go inside the cave during low tide as it is filled with water when the tide is high. To get in and out of the cave, you need to dive underwater for a mere eight seconds. If you don’t know how to swim like me, your tour guide will drag you, literally, until you get into the other side of the cave. 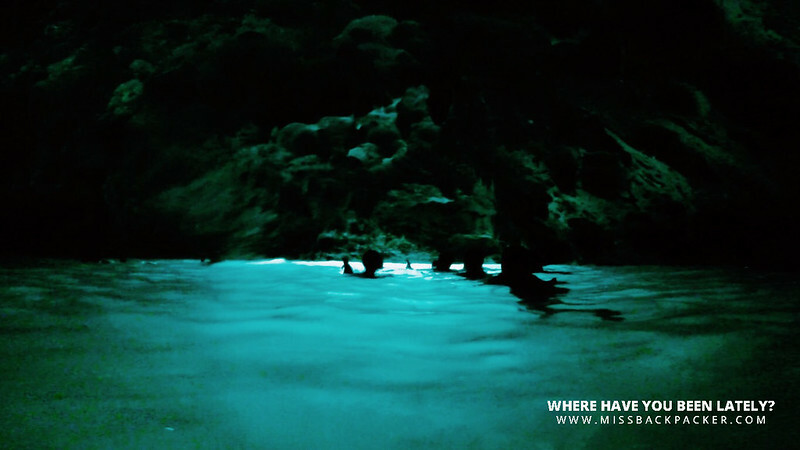 It gets really dark once you’re in there, but you’ll be amazed by the bio-luminescent water. 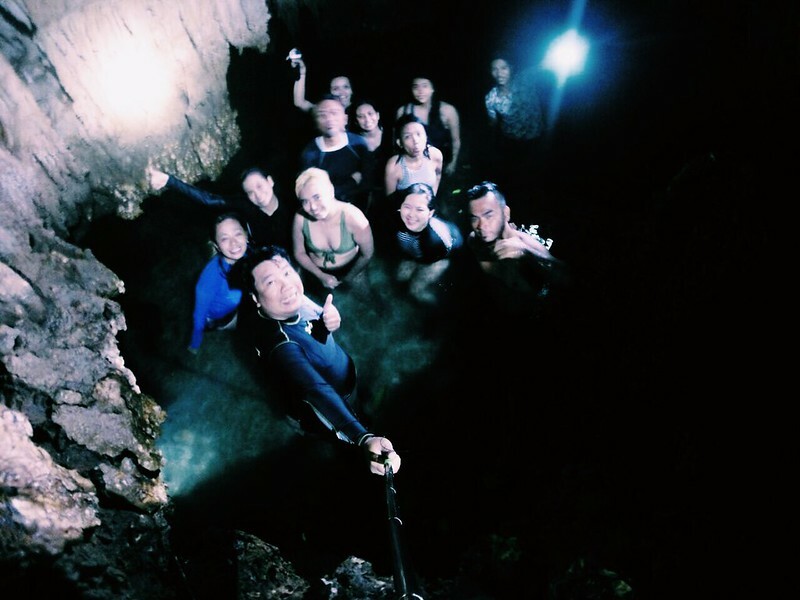 Hagukan Cave, along with Magkukuob Cave and the Jellyfish Sanctuary, which you can find below, are part of the Sohoton Cove National Park located in Bucas Grande, Surigao del Norte. There are several ways to get there. 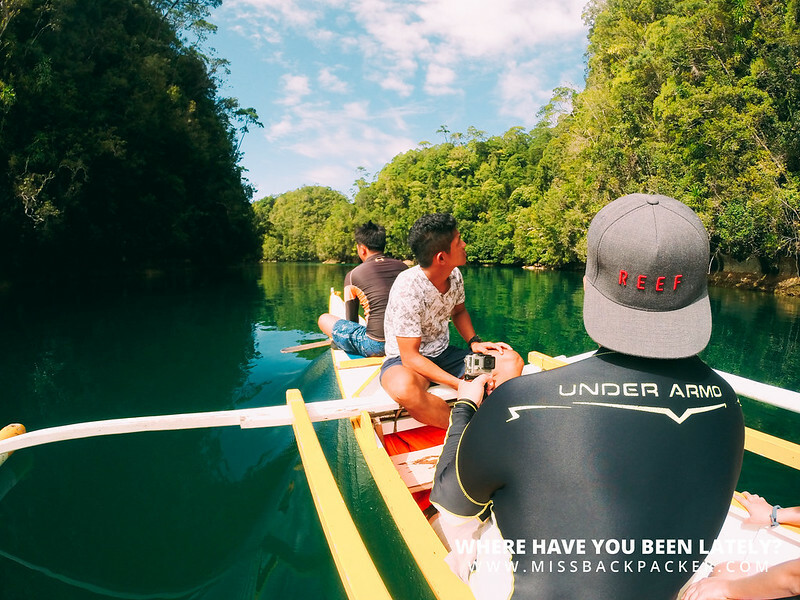 In this trip, we rented a boat in General Luna. Travel time is 2-3 hours. At the entrance of the national park, there are warnings for people who have heart condition not to go to Magkukuob Cave. Why? To get inside, you need to waddle into the murky waters of the dark cave to have a better view of the stalactites and stalagmites, some of which have already form columns. 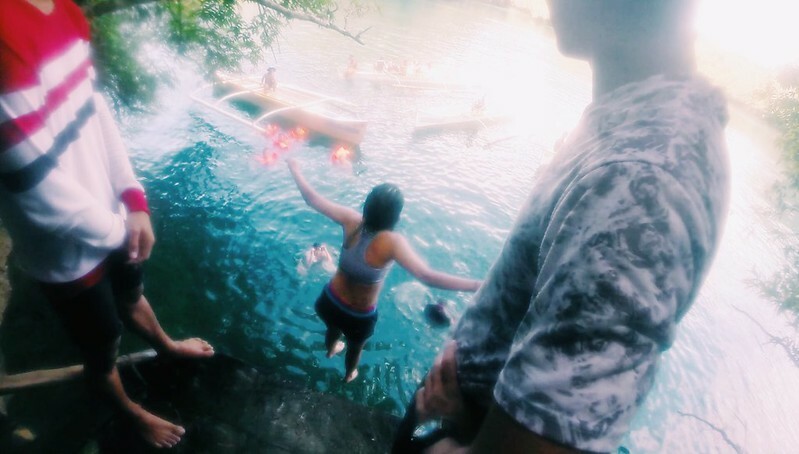 To get out, you need to dive from a platform 12-feet above the water. 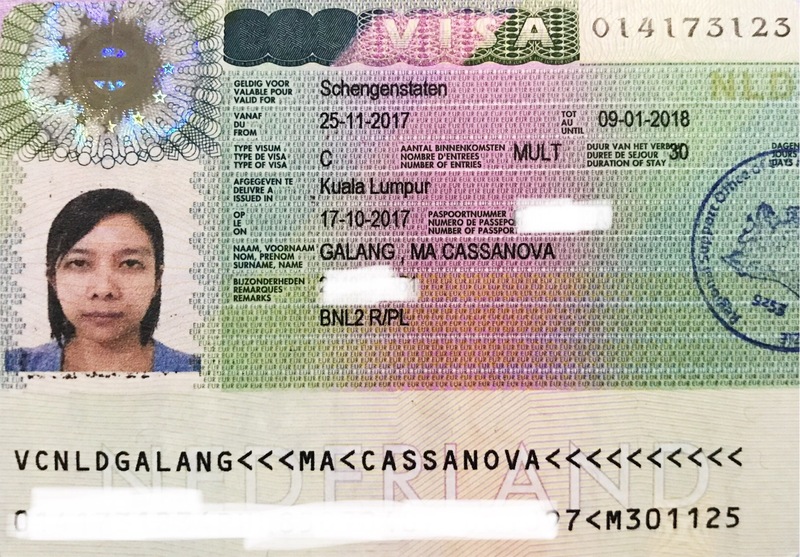 Ang gara, ‘di ba? But the fun’s all worth it! 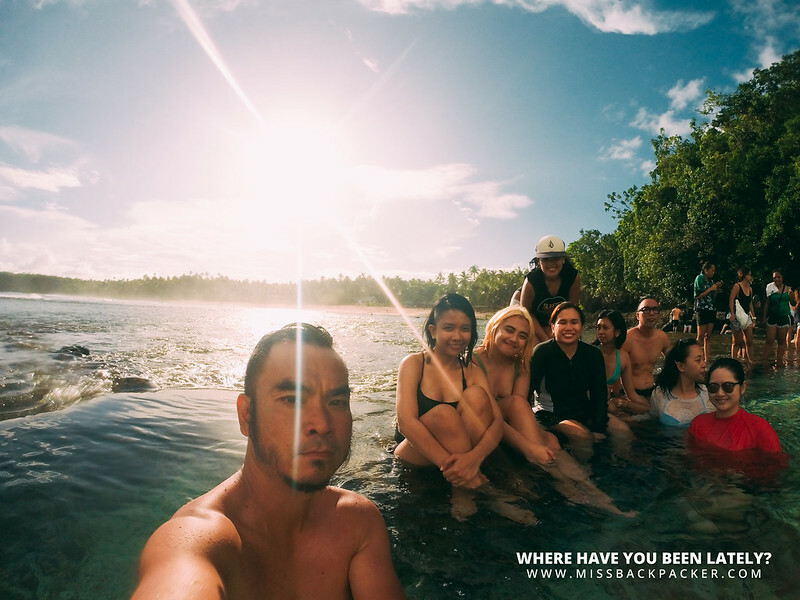 In 2013, while having fun with my friends in the shore of Banol Beach in Coron, Palawan, one of my friends got stung by a jellyfish. I witnessed her pain, the mark the sting left on her skin, and how she dealt with all of it. 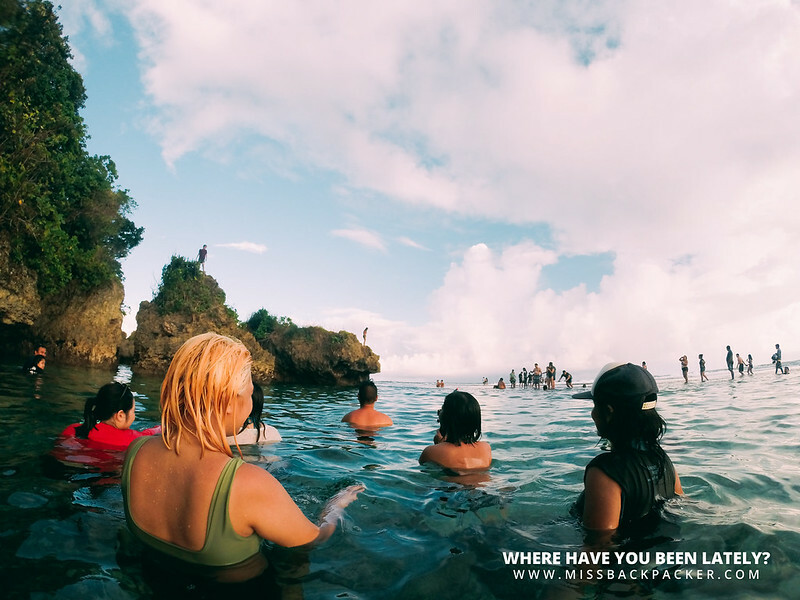 So when I found out that the Jellyfish Sanctuary, known for its hundreds (sometimes thousands) of resident and stingless jellyfishes, is included in our itinerary, that scene came flashing back to me. 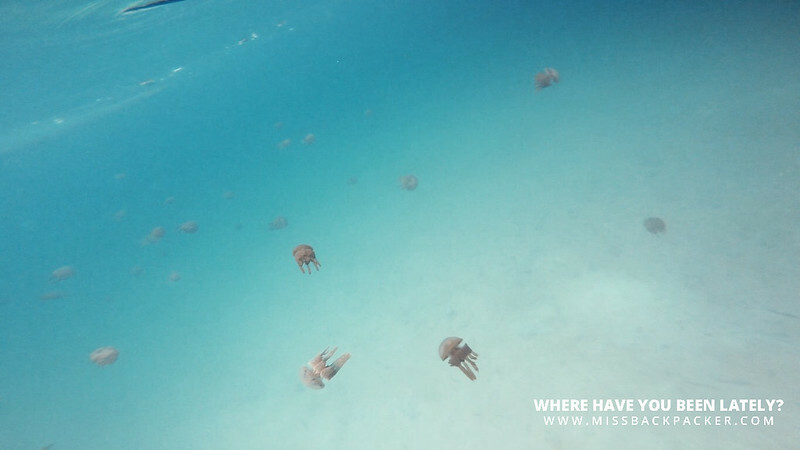 What if the jellyfishes aren’t really stingless? I don’t want to experience what my friend did. Luckily, we didn’t have the chance to swim in the sanctuary when we went there because we were such in a hurry. Woot! 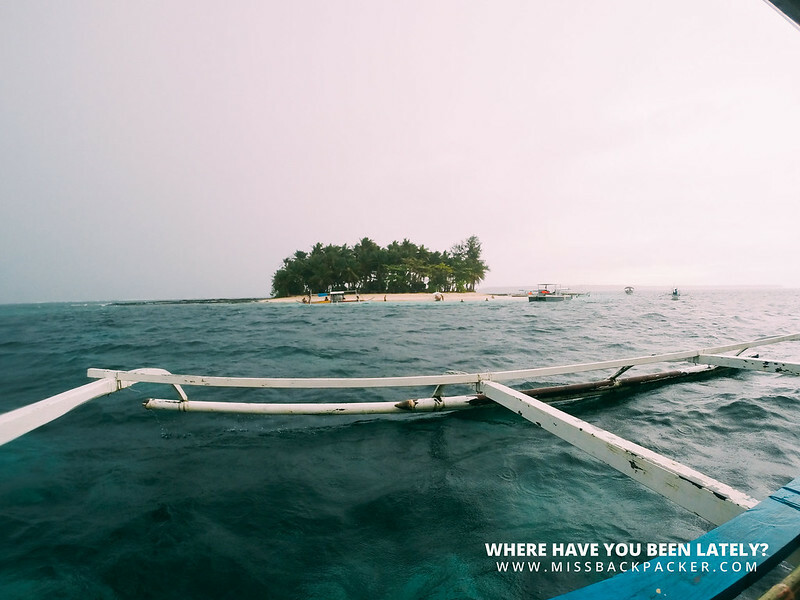 These three islands starting with Guyam is just a 20-minute boat ride from General Luna. 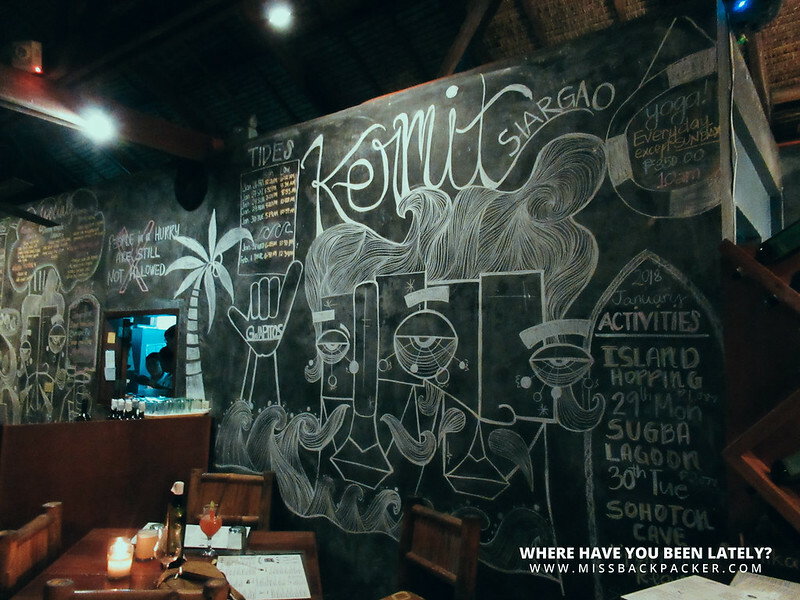 Visiting these islands is one of the most popular activities in Siargao aside from surfing. 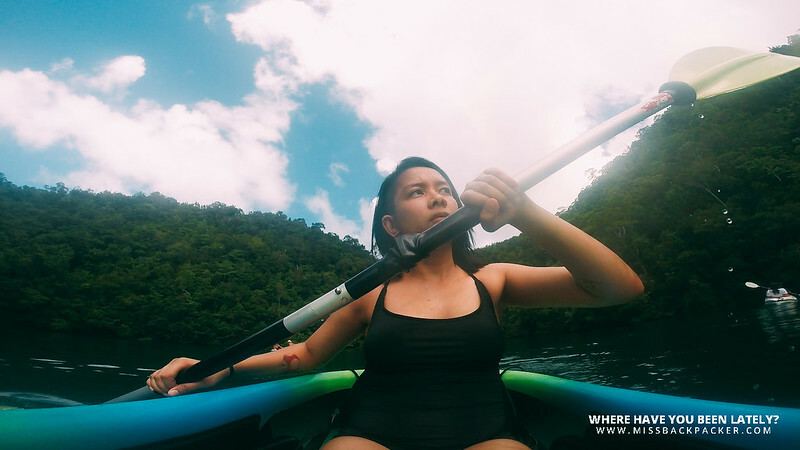 Renting a boat costs PHP 1,500.00 which is good for a whole day. 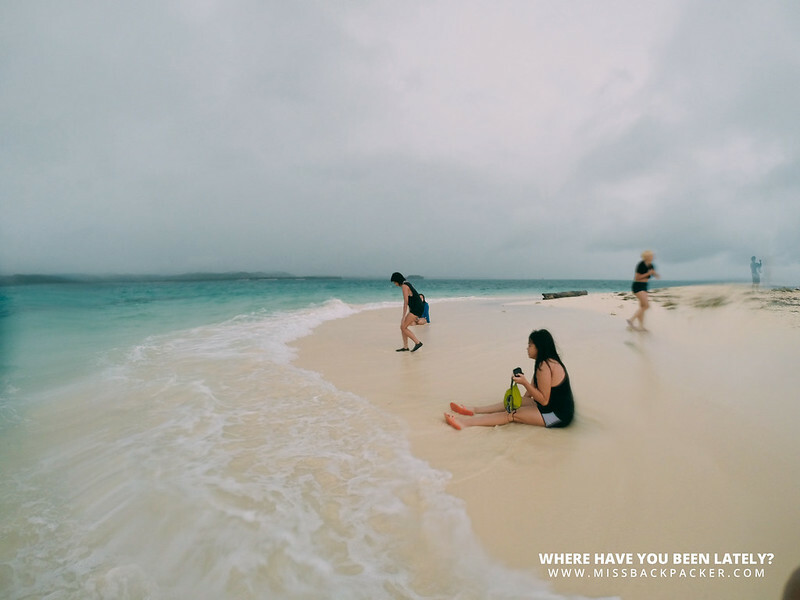 Unfortunately for us, it was raining and the wind was terrible when we arrived in Pansukian or more popularly known as Naked Island. 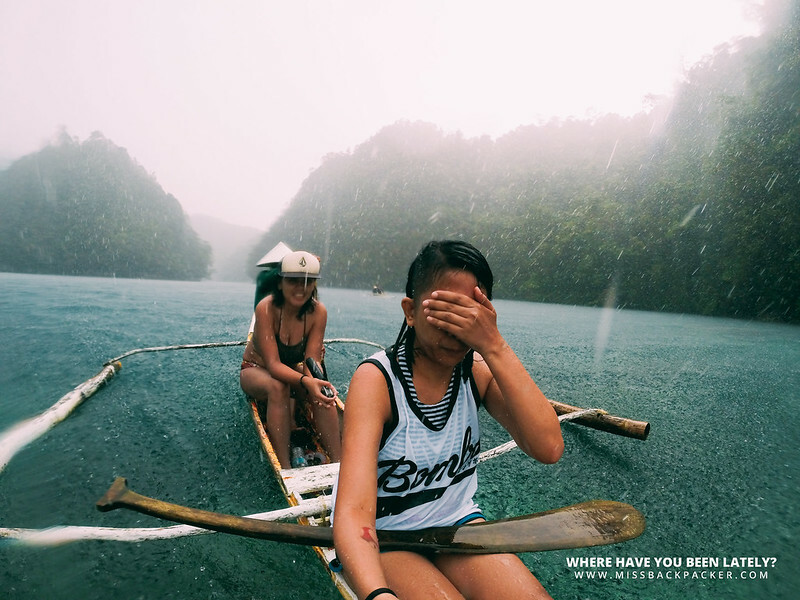 Winter in Siargao daw. 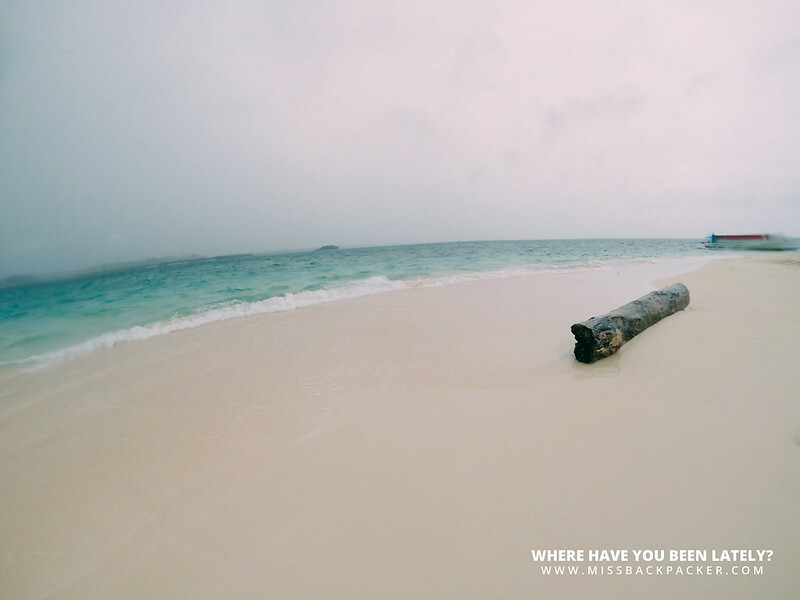 I have other photos of these islands taken during my first visit to Siargao in 2012. Not much has changed. 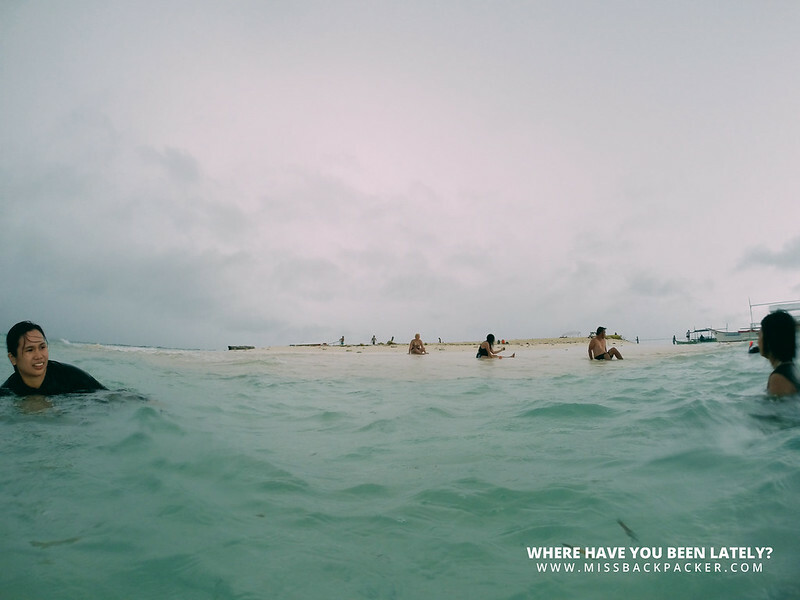 They are still the islands I fell in love with. Here. Here. Here. Drool, people, drool. Our guide had been telling us since the day we arrived that dining in Kermit requires reservation at least a week before your intended date of dining. That is how popular Kermit is! 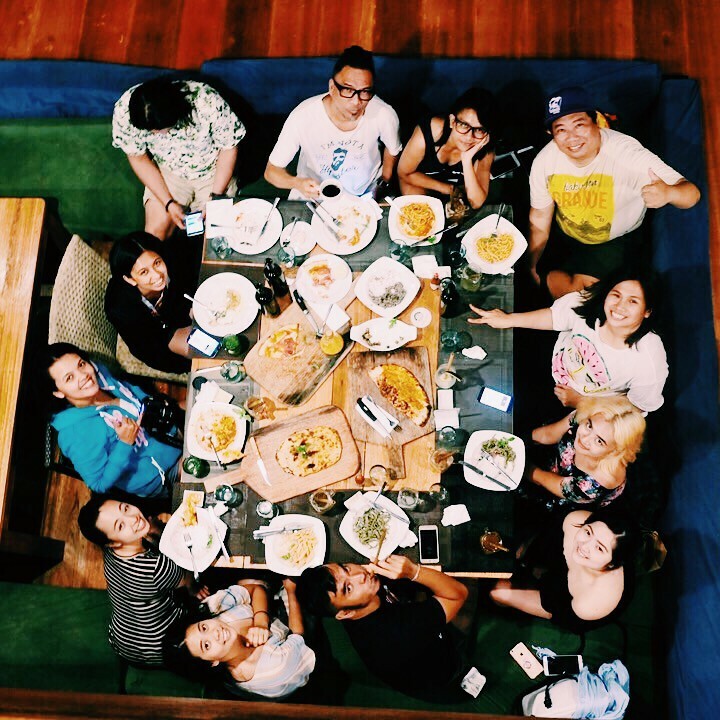 The staff and crew confirmed it stating that they’ve had several celebrity guests like the Curtis-Smith sisters, Julia Baretto, Andie Eigenmann, and more. Oh yeah, even Steve O! My verdict? 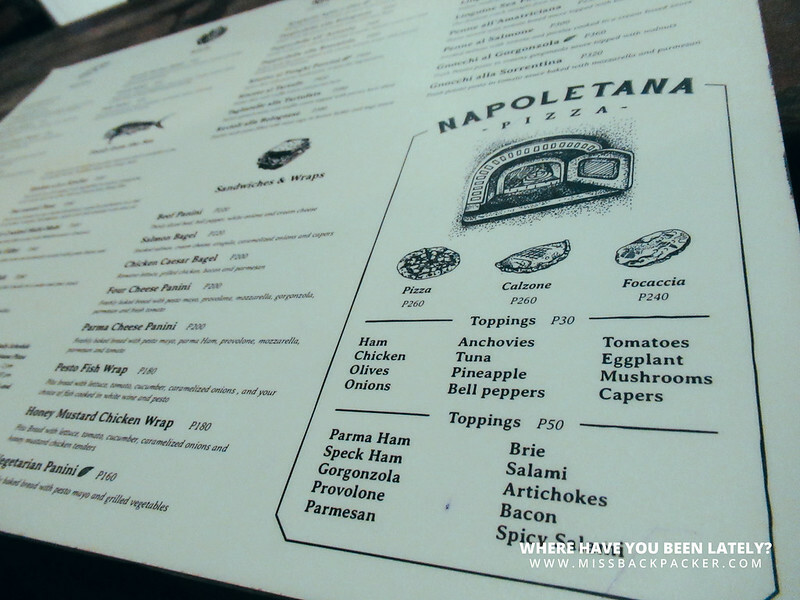 You won’t mind paying for your meal as they are not just Instagram-worthy, but sumptuous as well! It lives up to the hype. 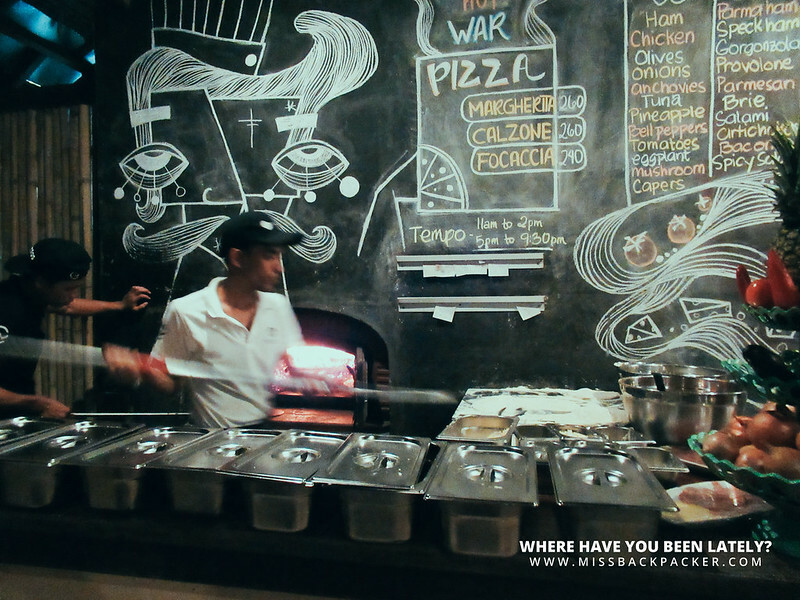 I am drafting another post on where to eat in Siargao. The surfing capital is loaded with dining options that will truly destroy your diet. Walang kakain hangga’t hindi napi-piktyuran! 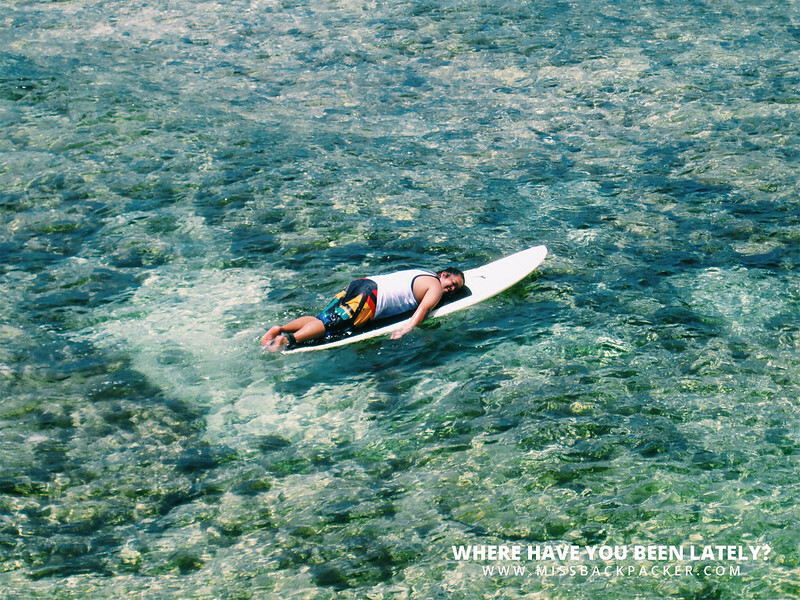 Of course, you’re already in Siargao, why not surf? 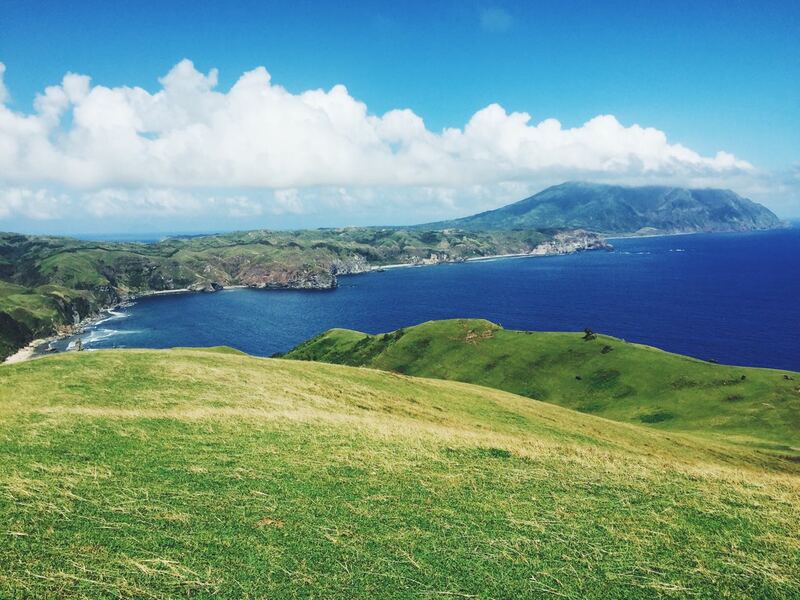 You don’t get to visit the island everyday so make the most out of it. Surf, eat, chill. 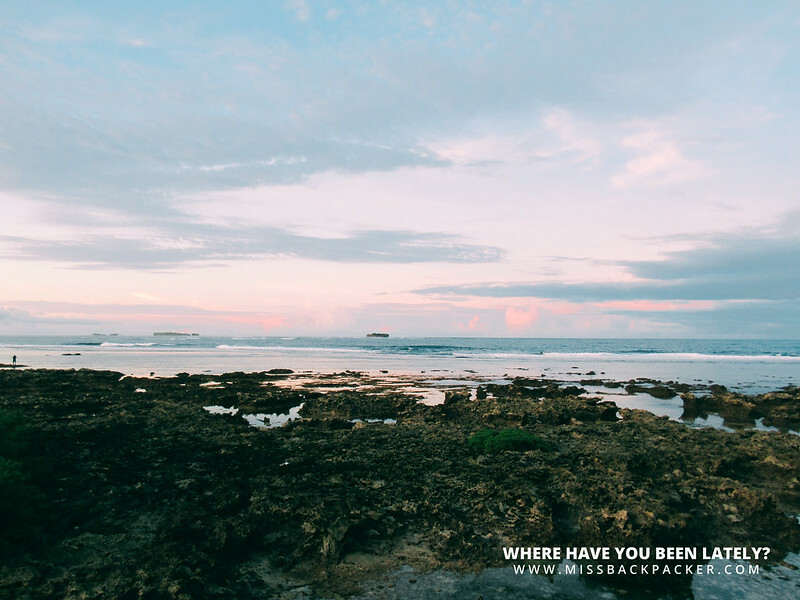 It’s such a lovely place for you to miss out its highlights. 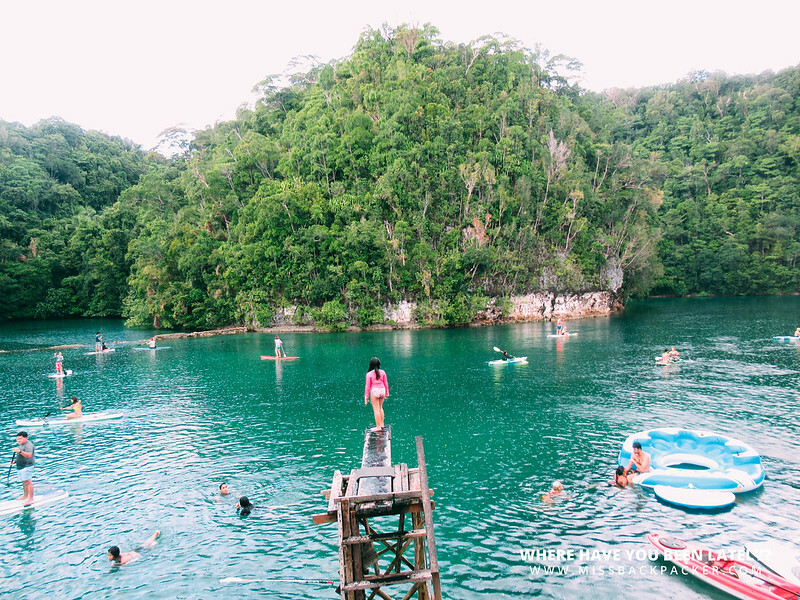 Cebu Pacific now offers direct flights between Manila and Siargao, increasing the frequency of flights to daily starting March 25, 2018. Its lowest year-round fares start at P2,371. 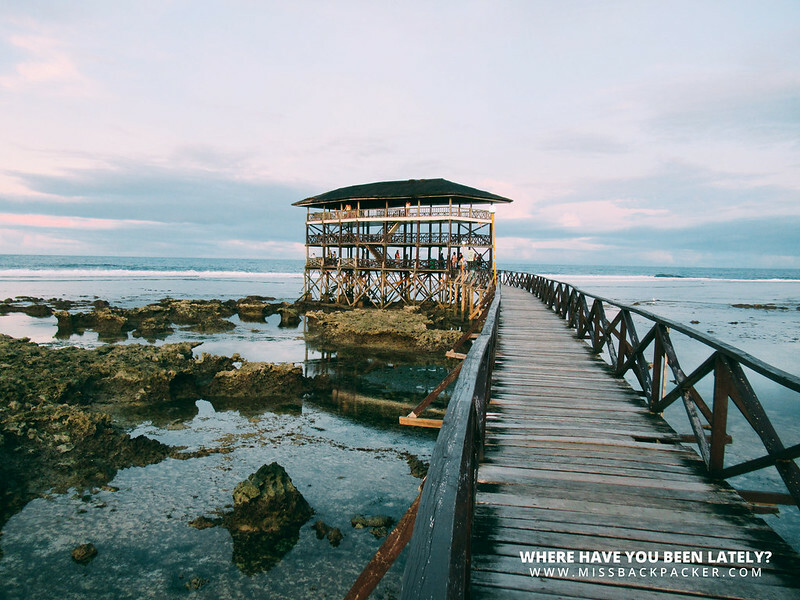 Aside from Manila, Cebu Pacific also flies direct to Siargao from Cebu twice daily, with the lowest year-round fare of PHP 2,105. 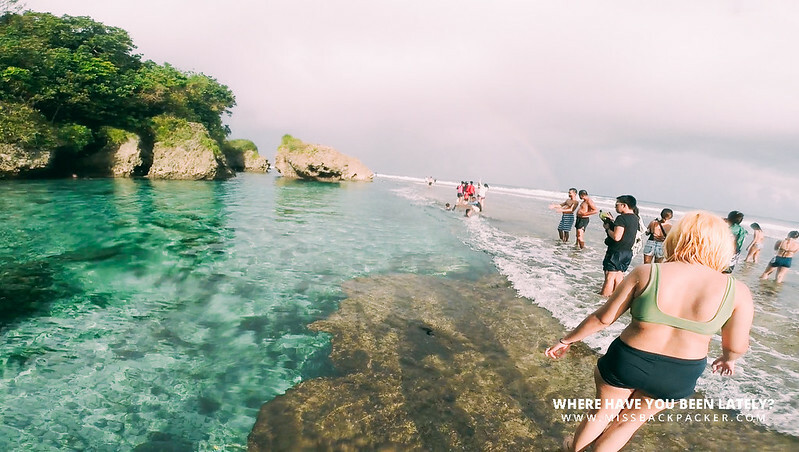 Travelers from Manila can also visit the island by taking a connecting flight via Cebu to Siargao.